Minimum Eligibility Required: Diploma or Graduation Degree in Science field or must be pursuing the same. SMEC Automation provides National & International Accredidated Industrial Instrumentation courses through its Research and Development wing called SMEClabs. Our Industrial Instrumentation level courses are listed below. Z instrument services is professionally run by technocrats having decades of experiences in Training / process / manufacturing industries. Our rich experience of over 30 years in providing automation solutions to Indian & overseas industries has made us a leading training Service Provider. Other than extended training for fresh engineers with the company, SIDES is keen to conduct training programs for Engineering students, Fresh Engineering graduates. We provide Training in Instrument Technicians. 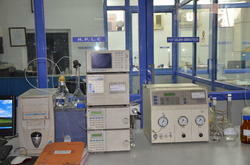 Following are the course content designed for process instrument technicians. 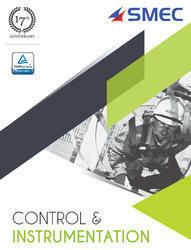 The demand for talented instrumentation and control technicians has never been greater. With today's aging workforce, companies have discovered that instrumentation training has become paramount to bringing in the next tier of control and instrumentation technicians. Nectar Automation System offers excellent training on PLC, SCADA, HMI, AC Drive & Servo Drive for engineering students/Engineers (Electrical, Electronics & Instrumentation). We also conduct courses in the field of PLC, SCADA, HMI and AC Drive which are extremely useful for companies interested in automation trainings to update the skills of their technical persons.